1. Third son of Midian, the son of Abraham by Keturah (Gen. xxv. 4; I Chron. i. 33). 2. 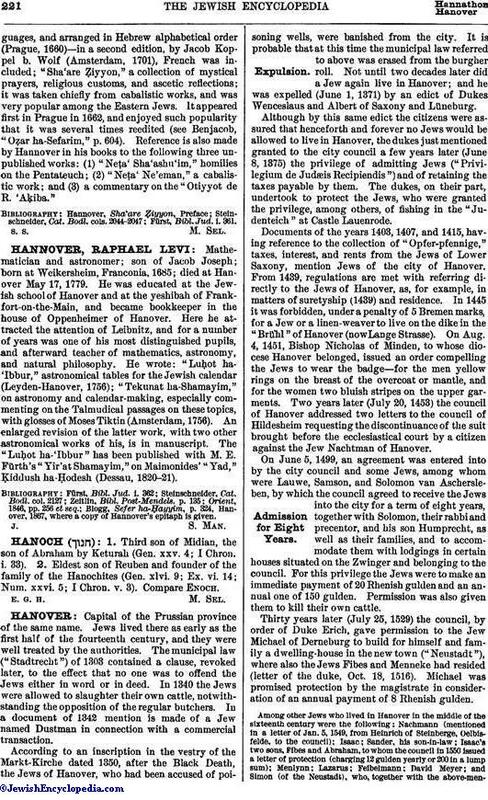 Eldest son of Reuben and founder of the family of the Hanochites (Gen. xlvi. 9; Ex. vi. 14; Num. xxvi. 5; I Chron. v. 3). Compare Enoch.